With more than 20 years’ experience as Mitsubishi car wreckers in Sydney, you won’t have any problems finding exactly what you need at our Yennora yard. We have the best range and the best prices for all Mitsubishi spare parts in Sydney, not forgetting our reconditioned engines, which are an absolute steal. When you want quality recycled parts that have been fully checked and are in good working order, you will save a bundle at Auto Ice Parts. When was the last time you tried to source VW spare parts in Sydney? They will set you back an arm and a leg, but because we are the leading VW car wreckers in Sydney, we can find the part you need at an awesome price – saving you heaps of money. If you need spare parts right now, pick up the phone and talk to our guys at our Yennora yard. They will know instantly whether the VW, Volkswagen or Mitsubishi spare parts you need are on our Sydney shelves and ready for you to pick-up today. 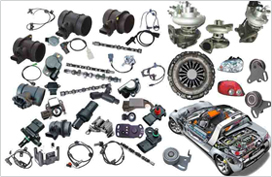 To check if we have the VW, Mitsubishi or Volkswagen spare parts in Sydney you need or to price a reconditioned engine, call Auto Ice Parts (Leading car wreckers/auto parts shops sydney) on 02-9892 1010, 9892 1110 or email mail@aaautoiceparts.com or complete an online enquiry form.